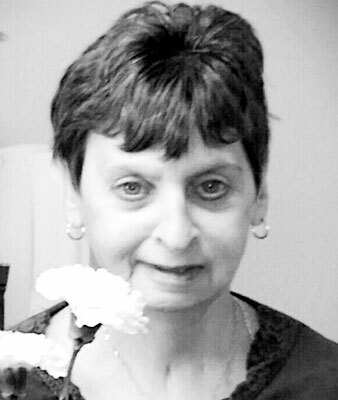 MARGARET ''MARGIE'' J. BUCCI BOARDMAN – Services will be Monday evening at 7 p.m. at the Clemente Funeral Home in Struthers for Margaret “Margie” J. Bucci, 57, who died Friday. Margie was born March 25, 1958, in Youngstown, a daughter of Arco and Geraldine Mastadonna Bucci. She was a volunteer for 10 years for Southern Care Hospice and a member of the Christ Our Savior/St. Nicholas Church in Struthers. Margie enjoyed volunteering at Southern Care Hospice, her “job,” and she loved her patients and they loved her. She enjoyed playing bingo, the lottery, and the Cleveland Indians and Browns. She also volunteered for Relay for Life in Boardman and Austintown. Margie never met a new person who did not leave as her friend. Margie leaves her sister, Cheryl (Nick) Chicone of Boardman, with whom she made her home; and two nephews, Nick Chicone of Boardman and Damon Livesay of Tampa, Fla. The family also extends their love and appreciation for Margie’s “big sister,” Debbie Horvath, for always being there. Margie was preceded in death by her parents and her sister, Virginia Bucci. Friends may call on Monday evening from 5 to 7 p.m. at the Clemente Funeral Home in Struthers. A private burial will take place Tuesday morning at Greenhaven Cemetery. Visit www.ClementeFuneralHomes.com to view this obituary and send condolences.